It's a Saturday morning in 1952. 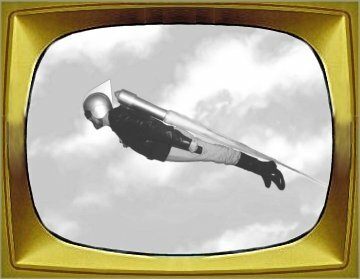 The twelve inch screen of your black and white television flickers and then lights up with the sweeping logo of Commander Comet and the Rocket Patrol. Tinny music blares from the small speaker and the resonant voice of the announcer tells you it is time for another exciting adventure of the Commander and his daring companions as they voyage in their powerful space cruiser to the far reaches of the Solar System, battling the enemies of Earth. © 2001-2013 Dan Thompson, except where otherwise noted.